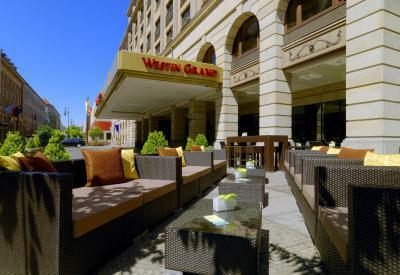 Lock in a great price for The Westin Grand Berlin – rated 8.8 by recent guests! 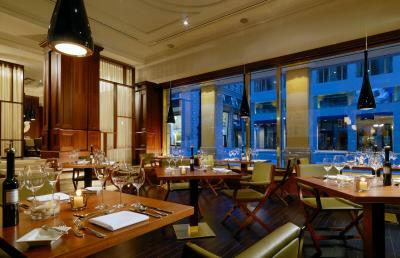 The location is one of the best in berlin and the total experience at this hotel was wonderful. Great hotel, great location. Room was lovely and warm and clean! The breakfast was delicious. The bed was really comfortable. The shower was great. 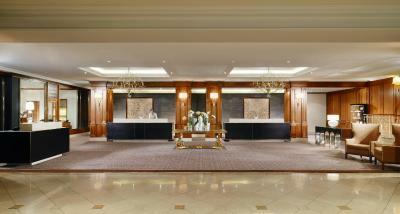 Concierge was very helpful and the location was excellent for tourism. Location was amazing. 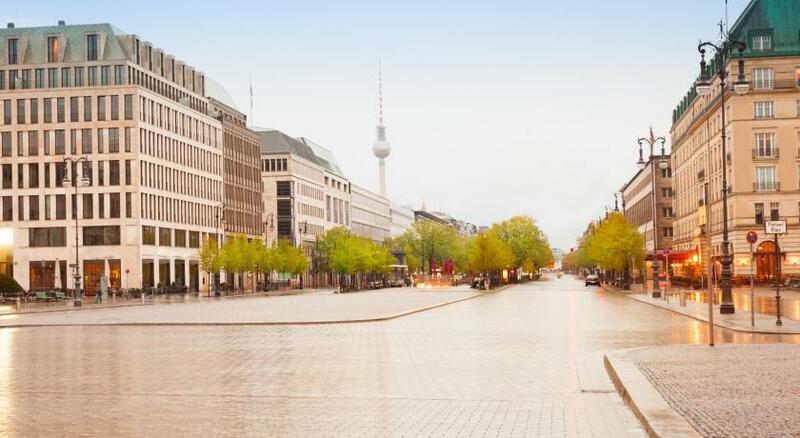 Short to medium walking distance from everything important in Berlin. 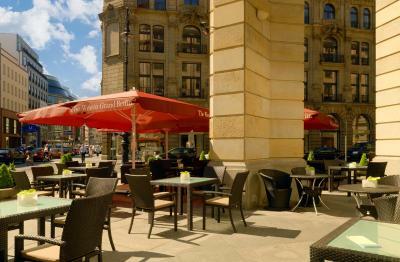 The area around the Hotel is beautiful, probably the most beautiful in the city, full of elegant shops and restaurants. 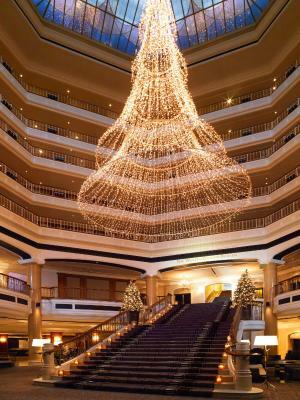 The entrance of the hotel is impressive. 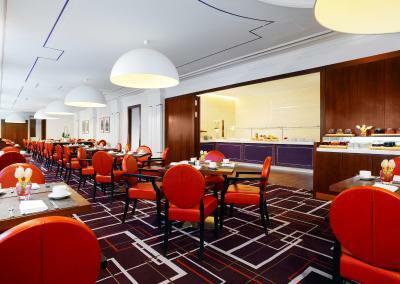 The location (In walking distance between Alexanderplatz and Brandenburg Gate) in opposite direction and the fantastic breakfast are 2 reasons you should book this hotel. That's what i read in earlier review as well and they were spot on. Breakfast Service was great, too! 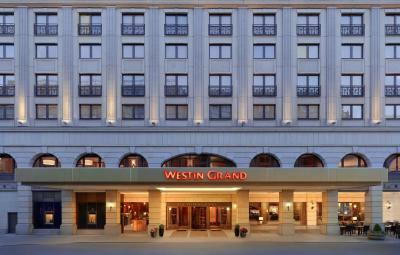 The Westin Grand Berlin This rating is a reflection of how the property compares to the industry standard when it comes to price, facilities and services available. It's based on a self-evaluation by the property. Use this rating to help choose your stay! 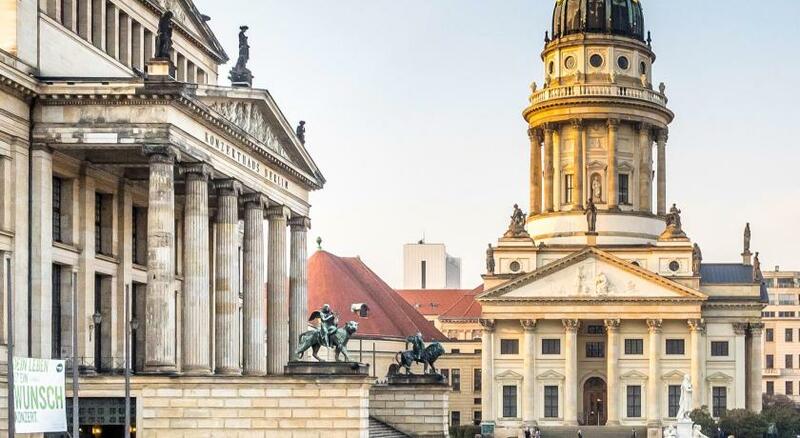 One of our top picks in Berlin.This hotel on Berlin's historic Friedrichstrasse offers a spa with pool, an attractive garden, and a unique lobby with grand staircase. 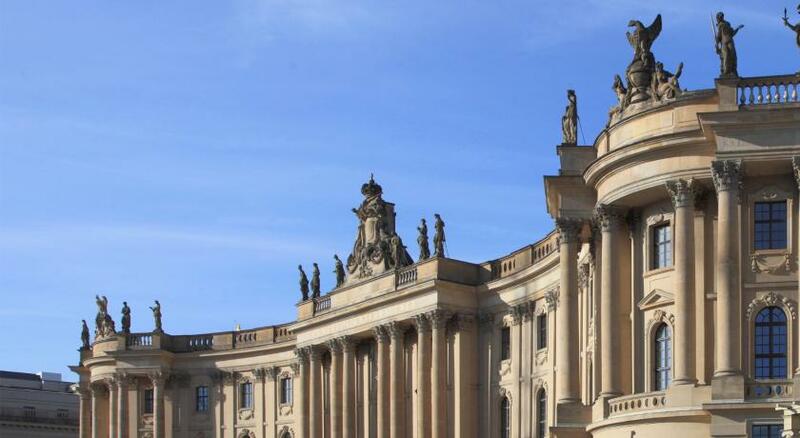 The Brandenburg Gate is a 10-minute walk away. 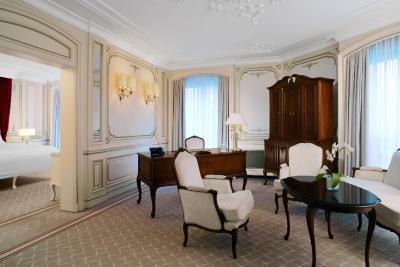 The Westin Grand Berlin’s elegant rooms and suites feature flat-screen TVs and comfortable beds. 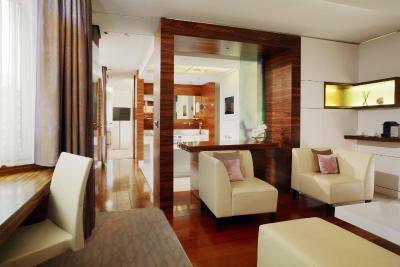 Bathrobes and slippers are provided in the modern bathrooms, which include a hairdryer. 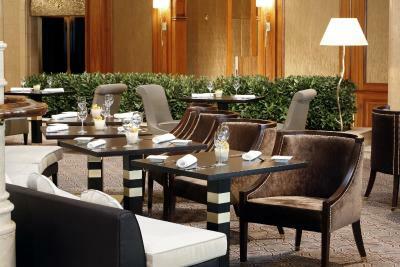 The Relish Restaurant & Bar serves modern food with French and Asian influences. 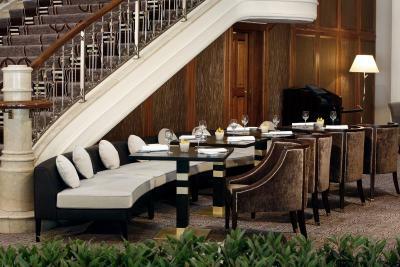 A rich breakfast buffet is available in the Coelln restaurant every day. 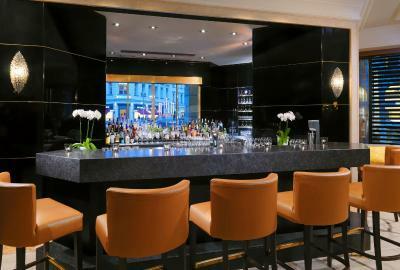 Guests can enjoy drinks in the classical lobby bar, which has panoramic windows. 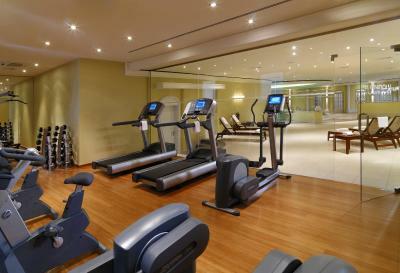 The Westin Spa & Fitnesslounge includes a fitness center and stylish swimming pool. 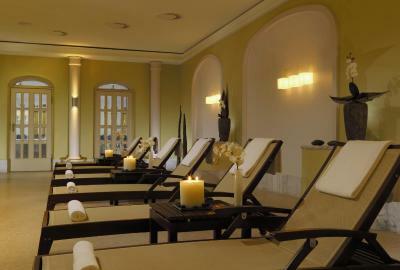 Relaxing massages and a range of beauty treatments can be booked. 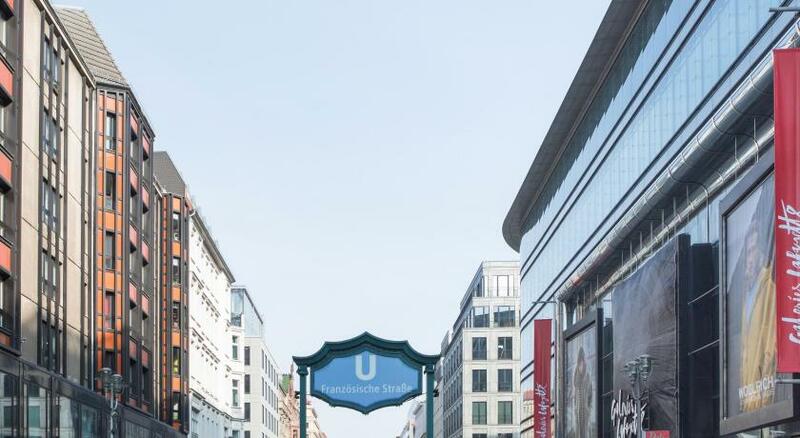 Französische Strasse Underground Station is a 1-minute walk away. 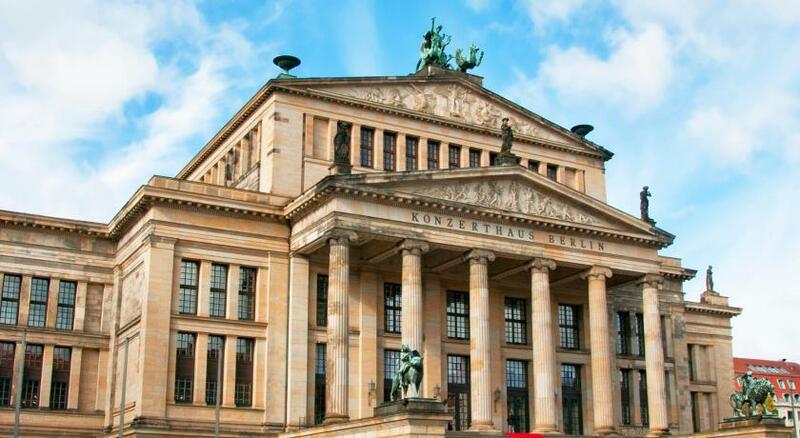 There are several bus stops on the famous Unter den Linden Boulevard, just 350 feet from the hotel. 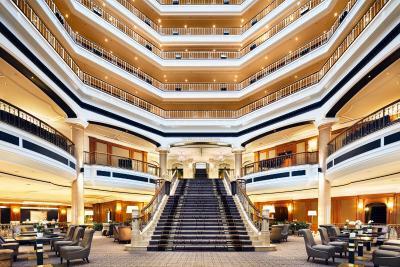 When would you like to stay at The Westin Grand Berlin? Public parking is available at a location nearby (reservation is not possible) and costs EUR 32 per day. This double room features a balcony, mini-bar and view. This double room features a sofa, spa bath and bathrobe. 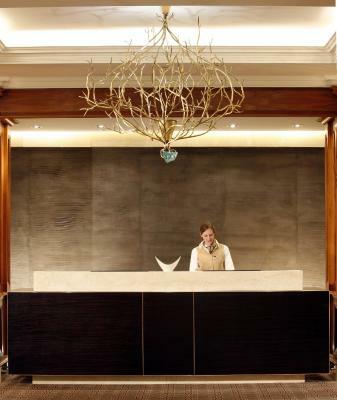 House Rules The Westin Grand Berlin takes special requests – add in the next step! 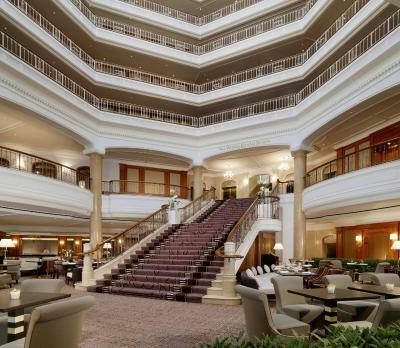 The Westin Grand Berlin accepts these cards and reserves the right to temporarily hold an amount prior to arrival. 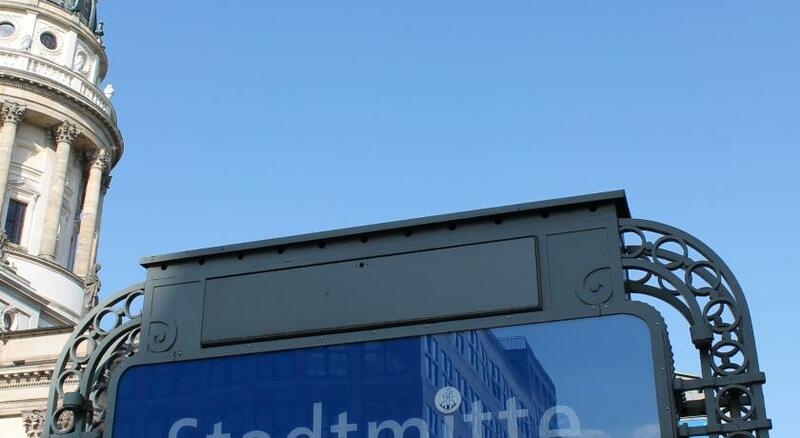 If using a satellite navigation system, please use the following address: Behrenstrasse 52, 10117 Berlin. Please note that the surcharge for using the sauna is EUR 8 per person per day. Carpet was smelling and got really warm at night. The bathroom was dirty and stained. The toilet looked old and yellowish in color. Small TV. Small gym. And our room was location at the very end of the corridor. When I asked to be moved to a room closer to the elevator (because of my knee issues) I was told it would be possible only a day later and at an extra cost of 60€. I thought they should have been more flexible on this regard. I didn't like the service. They didn't provide me with necessary instructions on breakfast time and any services, I had to beg them for every single answer. No smiles, I felt like they really weren't happy with my visit. Not really a 5 star service. Breakfast was good and delicious though there was no porridge (but was mentioned on the menu), Swimming pool was good and pretty but sauna for extra charge (!). 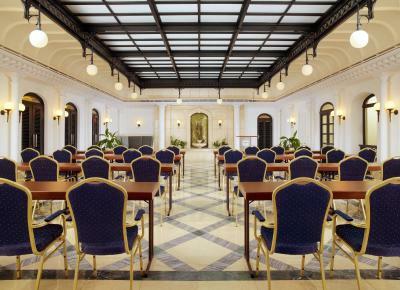 Room and interior were superb, also the location was excellent. From the moment of arriving at this perfectly placed and ideal location everything was superb. 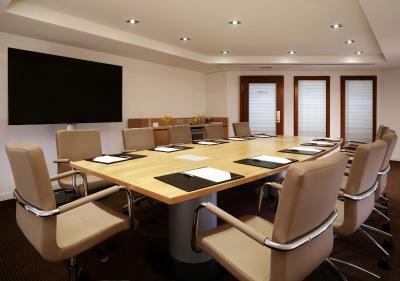 The staff were professional and genuinely warm and friendly from my arrival to departure. The room, quietly placed as requested, looking out to the back courtyard, was a great layout and the bed one of the most comfortable beds I've slept in. Also the sound proofing was very good, even being a light sleeper, I never heard any noise for the 4 nights of my stay. 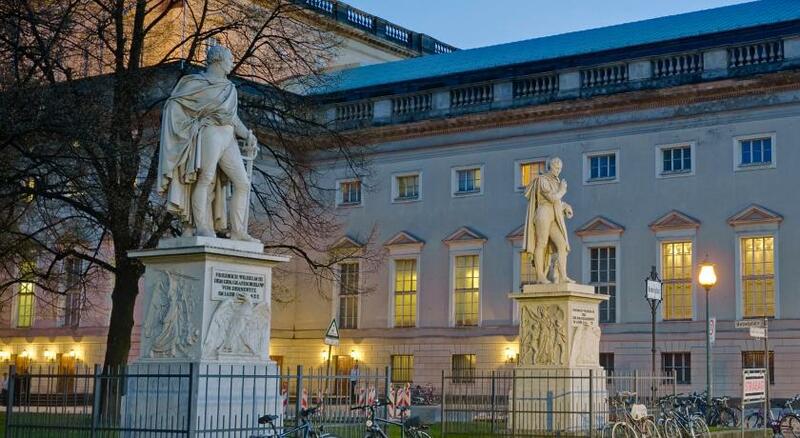 A true 5 star Hotel and would highly recommend to anyone visiting Berlin. 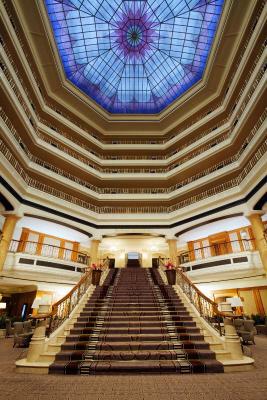 This is the go to Hotel for my next visit. The receptionist who checked us in was not very friendly or inviting. He did not inform us that we needed our key to use the lifts to get to our room so it took us a while to work it out. 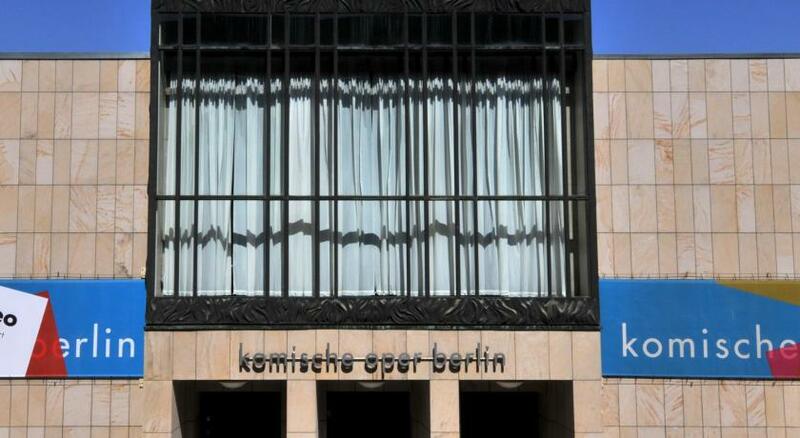 The hotel was lovely & very convenient to finding our way around Berlin as it was our first visit to the city. The rooms were warm light & airy. The breakfasts were very varied & food appeared to b replenished on a regular basis. The hotel has not yet unblocked 80 EUR from my credit card. How to proceed? Please help!! !